Sit back, relax, and enjoy your music without distraction. 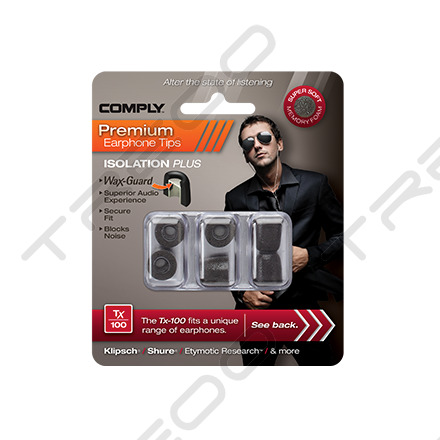 Comply™ Foam offers a wide variety of premium earphone tip replacements for whatever your musical desire is: We offer eartips that will withstand your most rigorous sport as well as ones that enable you to listen all day long. If blocking out the world is more your thing, though, let us introduce you to Comply Foam’s Isolation 100 series. 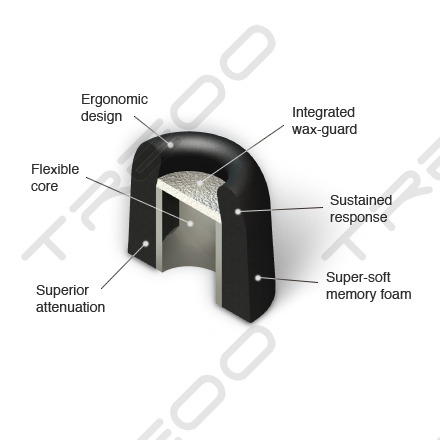 WaxGuard Protection for Clean Soundports: Available with our Isolation Tx-100 Series earbud tips, Comply’s WaxGuard protection is highly recommended for use with high-end earphones. The last thing you want with an especially expensive pair of earphones is earwax and debris to clutter the finely tuned soundport. WaxGuard is an acoustically transparent filter integrated in Tx-Series eartips that ensures a clean and clear sound every time. Popular earphone brands compatible with 100 series earbuds include Klipsch, Westone, Etymotic Research and AudioFly. These brands produce some of the highest-quality audio tech available—why compromise high-fidelity sound with shoddy eartips? Stop leaking sound and start locking it in. Hear the music for what it’s worth and get the most out of your finely tuned earphones. In short, the MOST comfortable tips ever. They are soft, and warms up to your body heat. So after 5 mins of use, you will forget that you are even wearing your in-ear earphones. They might dampen the highs on your IEMs though, may be good or bad for you. Isolation is top notch. There is only one bad thing, that is they wear out quite fast. You'll have to change them after a few weeks, but I think for that comfort and quality its worth it. 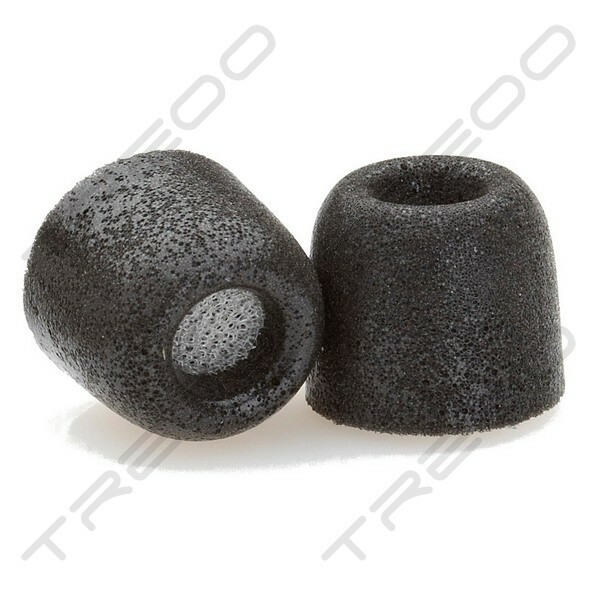 Much better than other foam tips, such as hippo foam, which is rough and grainy, and just scratches against your ear. Comply on the other hand is like the softest cotton wool in your ears. Strongly recommended!